When we were young we had the capacity to dream – and we had big dreams. I remember that I wanted to be the aeronautical engineer and a neurosurgeon at the same time, and I actually wanted to become a bird at a time? However, as we grow older, the realities of life set in and we have to specialize and pick a job out of the many jobs that interest us. People build careers in different fields such as education, business, technology, healthcare, sports, and arts among other things. Irrespective of the career path you chose, you’d still need to make a number of financial decisions at different stages in your life; folks who do not have a background in finance are often at a disadvantage in the crossroad of making financial decisions. This article provides an insight into five things people without a finance background must understand in order to make smart financial decisions. Many people without a background in finance are often penny-wise pound foolish when making financial decisions. One of the instances in which people make a penny-wise pound-foolish decision has to do with financial services. Many people do not want to pay for the services of CFAs, accountants, tax advisors and even realtors. Hence, they bumble through important financial milestones thinking that they’ve had it all figured out or that they can learn on the job. However, when finances are concerned, it is in your best interest to hire the services of professionals.Not paying a fee for a financial service does not necessarily mean that it won’t cost you something down the road. In fact, the effects of bad financial decisions, poor planning, and financial mistakes could cost you more than the fees that a finance expert will charge in the long term. Nonetheless, you should not blindly believe that good financial services must be expensive. You should know how to identify value when you shop for financial services. It is very easy to obtain financial stability; however, the simplicity of the steps you need to take to obtain financial stability often eludes most people. 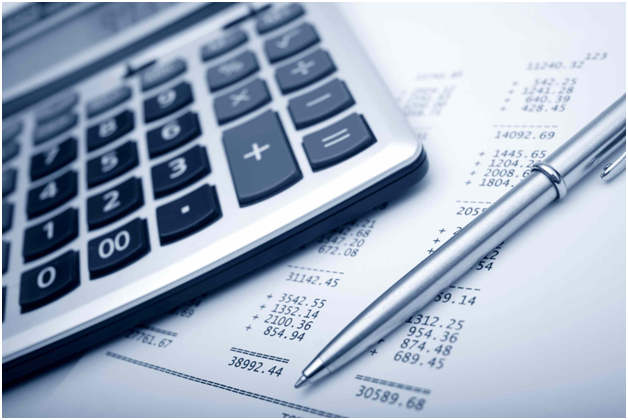 The simple formula for attaining financial stability is to ensure that your income is more than your expenses. You can never run into financial troubles if the money you make is more than the money you spend. However, if you are experiencing financial instability – the only solution is to either reduce your expenses or reduce your income. It might be hard to reduce your expenses if you are used to a certain way of life and it might be hard to increase your income if you are stuck with a 9-to-5 job where you get a raise once in three years. Nonetheless, you can increase your income if you start an online business, learn to trade, take a part-time job on weekends, or start living frugally. If you want to attain financial stability by increasing your income, you’ll need to understand and embrace the nature of risk. Society has conditioned us to avoid taking risks and that’s why most people go to school, get good grades, find a job with benefits, and buy all the insurance in the world. Don’t mistake me, there’s nothing wrong with living a structured and ordered life; however, you must understand that risk is equal to reward. No risk equals no reward, low-risk will yield low-reward, medium-risk will yield medium rewards, and high-risk will have the biggest rewards. You should do some soul-searching to know the kind of risks you want to take (no-risk doesn’t count) and be willing to take that level of risk in your investments, career, and financial decisions. Nonetheless, it is important that you cover all your bases and make only calculated risks. Taking risks is different from gambling. Many people play the finance game safe by keeping all their money as cash in the bank. Truth be told, the allure of cash is mesmerizing because it makes you feel in control – who wouldn’t like an unlimited supply of money to buy stuff on a whim. The problem though is that not many people have an unlimited supply of money and even billionaires only keep a fraction of their money as cash. People without a finance background must understand that the safety of cash in as illusion and that cash is NOT safe. However, the biggest threat to cash is inflation. The dollar loses about 2.7% yearly to inflation and $100,000 in the bank today will be worth $97,300 after one year. Two years later, your $100,000 will be worth $94,530. You can’t keep cash at home because it could be stolen or destroyed by mold and mildew. If you keep you cash in the bank, you might get a microscopic interest but the Federal Reserve is starting to entertain the idea of negative interest rates and you might soon need to pay the bank to keep your money. Lastly, people without a finance background must understand a different kind of debts. You need to understand the differences between revolving debt and installment debt. You must also understand the difference between investment debt and consumption debt. Smart people often avoid consumption debt. If you are smart with investment debts, the investment should produce enough income to service the debt while keeping the value of the investment intact.